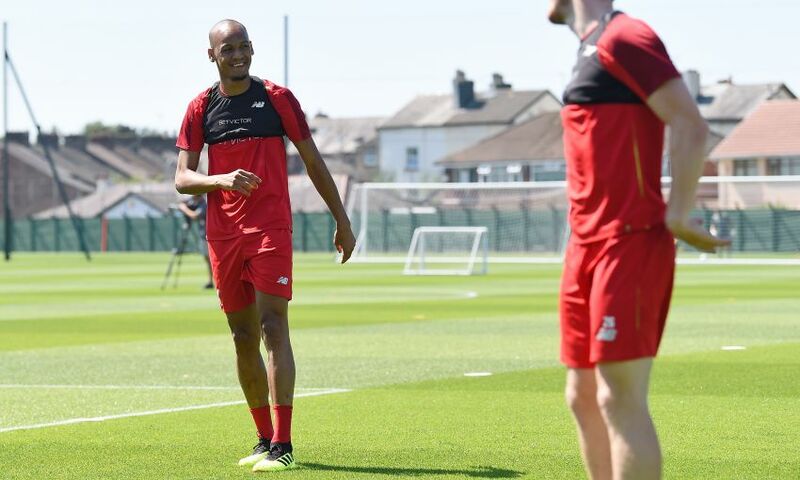 Fabinho has revealed his excitement over getting his Liverpool career under way this week, describing the prospect of representing the club as a 'huge honour'. The 24-year-old became the Reds' first signing of the summer transfer window just two days after the Champions League final, agreeing a switch from AS Monaco that was ultimately finalised last Sunday. After a fee had been agreed with the Ligue 1 club, Jürgen Klopp detailed how Fabinho would fit into his plans - though it appears he needed little convincing that Anfield was the perfect destination. The midfielder was already thrilled by the idea of playing for Liverpool and, with his first game for the club now a step closer, he is looking forward to achieving big things on Merseyside. "I've been following the club closely in the last few years and they've improved greatly under Jürgen Klopp," he told FourFourTwo. "He's said I might play in a few different positions but the plan is to use me in midfield and I'm available to play wherever he needs me. He left the best possible impression. "He told me the calendar is demanding in England and that he needs players like me. It was a huge honour to hear such a compliment and that's what I wanted for my career - a move to a big club that knew they could count on me. "[The day I signed] was party day! [My wife and I] were both smiling at everything. I was really anxious during all of the negotiations, so when it was time for me to sign the contract I couldn't have been happier - a dream come true. "When I was doing the medical exams, I couldn't stop asking people, 'When does it finally become official?' You don't sign for one of the biggest clubs in the world every day you know! "A club with Liverpool's history wants you? Come on, you just pack your bags and go! It will be an honour to wear the famous red shirt. For a club like Liverpool, a good season means trophies. "Perhaps we can win the Champions League; we were so close to winning it last season. I'm optimistic about the future and I'm looking forward to winning a lot of titles with Liverpool." The Brazilian also explained how conversations with compatriot Roberto Firmino further stoked his excitement over an impending switch. He added: When we were close to finalising the deal, Roberto started giving me some tips about life in the city. He told me Liverpool was a fantastic place, just a little cold every now and again!" Fabinho is certain line up alongside Mohamed Salah next season after the prolific Egyptian penned a new long-term deal with the club earlier this week. On playing with the Reds' No.11, he said: "It was a pleasure watching him and he's improving year on year. He's entitled to dream of winning the next Ballon D'Or based on his numbers and achievements next season. "It's great to see how quickly he adapted to Liverpool which is obviously encouraging for me."